June 7 2012 - For many years, HR professionals have been trying to justify their right to a seat at the executive table. Executives rightfully have been scratching their heads trying to understand just exactly how HR drives business value. They are already giving loud and clear signals that HR professionals aren't suitable for senior HR roles with their current modus operandi. 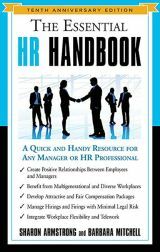 Unfortunately, HR professionals are often seen as the custodians of draconian, but necessary administrative 'people duties' such as payroll, employee dispute management etc. But should you really be ostracised as a HR professional for doing your job and tackling the tough administrative issues? Invariably, whenever you make workforce decisions, executives and other business minds want you think to ask yourself, "Is this idea going to create business value for the organization?" Think very carefully about the answer. 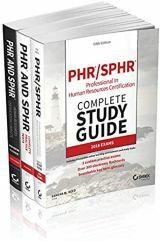 Below you'll find ideas that will help transform you into a strategic HR professional who's invested in your organization's success. Executives are frustrated by the 'HR mindset'. Not all HR professionals think this way, but enough do so to make the stereotype stick. You should look at HR issues from a business perspective, and not just a people perspective. It'll take time, but making this change is vital to the success of your business - and often your career. You'll begin to think in terms of 'How will this impact the business's performance' instead of 'How will this affect our HR budget?'. Two of the most dreaded words in a HR Manager's dictionary include offshore and outsource. When short-term financial pressures beckon, executives (with the help of their trusted financial people) will dissect every initiative in an effort to cut costs. While the workforce can make up anywhere from 30-70% of an organization's operational expenses, the cost of HR to service this workforce also adds up quickly. Payroll processing and recruitment has been outsourced in many companies already. Executives will continue on the outsourcing path because a balance sheet can't show them your department's intangible expertise in these areas. It's up to you to prove the value that your department's internal capabilities provide the organization. Takeaway: Make executives aware of your department's strengths so that they can focus on outsourcing the administrative minutiae. Otherwise you risk them outsourcing your most strategic functions. Back in the day, the HR industry was 100% all about fattening up talent pipelines. In some industries, that's still the case. But talent acquisition is just that - the beginning. Once a 'talent' has been recruited, it's up to the organization to make sure their 'talents' are nurtured. In today's complex business environment with a plethora of change, it's important to have a highly focused development program that develops your workforce's capabilities to execute upon key business initiatives. Don't fret if you feel a formal training & development program is too costly to integrate with your strategic plan. Nurturing your entire workforce can be as simple as cascading the business's goals down to your individual employees in the context of their own careers. Then empower them to undertake self-directed learning through strategically selected trade media and events. Takeaway: You still have to train and develop your highly talented workers. Just like everyone else, their past experience doesn't necessarily dictate success in your ever-changing business environment. HR professionals must eschew their 'people first' policies and look at HR issues from a business perspective first and foremost. Only after this has been done should they view the issues from a people perspective. You can prove that business goals are HR's priority by providing metrics that affect the business or the stakeholder instead of standard HR metrics like engagement level and time-to-fill. 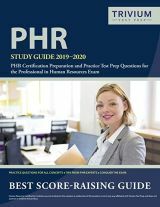 Ideally, you should be assisting executives in making decisions to outsource any non-strategic functions - these are aspects of the HR department, which you can't add value to internally. Once you have cleared such administrative duties off your plate, it's time to devise a strategic workforce plan that considers the business's needs over the long-term - typically 2, 5 and 10 years. After you've done this, it's much easier to devise recruiting, talent pipeline and training strategies to help meet the business's long-term needs. Only once you've taken these steps can you position HR as a strategic asset to the business. Kas Patel is a director at Skyhatch where he focuses his energy on developing solutions that enable HR professionals to better drive business value. He has a soft spot for strategy-integrated learning & development and interpersonal skills development, which he fanatically blogs about on the Skyhatch corporate website.